The State Assessment Innovation Leadership Network (ILN) brings together state and district assessment and technology leaders who will work to make online assessment systems, resources, and tools more efficient and effective. Participants will discuss interoperable digital assessment and accessibility challenges and share best practices while working with leaders in the IMS Global community to determine how assessment components can benefit from the lessons learned in the larger plug-and-play digital ecosystem. The mission of the State Assessment ILN is to develop and share digital assessment strategies with states and local education agencies to support their efforts to deliver online assessments that are more accurate and reliable measures of student learning. Network participants will also be powerful advocates to help advance the use of IMS Global interoperability and accessibility standards by educational technology suppliers. If you are interested in being a part of this collaboration or have questions, please complete the enrollment form below to contact us. You can also read the FAQ for more information. The group held its first meeting in fall 2017 and continues to hold monthly meetings. Participation in this network is open to all state assessment leaders. Membership in IMS Global is not required to participate. As states migrate to online assessment the QTI and APIP standards help make a state's transition to online testing a reality. Accessibility features, such as text-to-speech, magnification, and color contrast, to name a few, support a state’s commitment to Universal Design and help make online assessments valid and reliable measures of student learning. With QTI and APIP, traditionally underserved populations, such as deaf and blind students, can test online for the first time, ensuring that states remain in compliance with sections 504 and 508 of the Rehabilitation Act. These state education agencies and consortia are participating in the IMS Global Learning Consortium State Assessment Innovation Leadership Network. 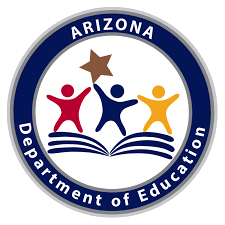 Participation in this network is open to all state department of education or school district assessment and technology leaders. Vendors or suppliers do not participate so the focus remains on the issues impacting state and local educational agencies. Suppliers will be able to benefit from the findings of the ILN through normal participation in IMS Global activities, such as the Executive Board on Assessment (EBA). The State Assessment ILN will begin by meeting every two months for one-hour sessions. This schedule is flexible and will adjust to match the needs of the group. The group will begin holding regular virtual meetings in the fall of 2017. The group may also initiative more intensive collaboration activities for smaller subgroups that see the opportunity to collaborate on specific needs, such as procurement or acceptance testing. No, there is no cost and membership in IMS Global is not required to participate. How can participating in this group help me? Participation in the group connects you to other state assessment peers, provides a forum to discuss important issues and share ideas, and allows the group to take advantage of the strong IMS Global community in establishing best practices and building successful community-focused solutions. The expectation is that all participants will improve their ability to procure, adopt and deploy new assessment technologies. The mission of the IMS Global Learning Consortium is to advance technology that can affordably scale and improve educational participation and attainment. To ensure that the “Learning Impact” of technology-enabled innovation is achieved around the world, IMS’s influential community of educational institutions, suppliers, and government organizations develops open interoperability standards, supports adoption with technical services, and encourages adoption through programs that highlight effective practices. Please register for an account or log-in to access the enrollment form.